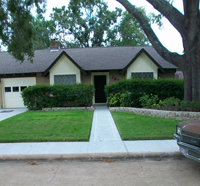 When it comes to the look & value of your individual property and that of your neighborhood, sidewalks and driveways make the first impression. 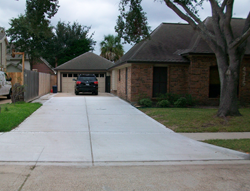 Brooks Concrete follows all city guidelines & ADA regulations for handicapped access. 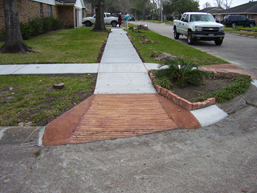 We plan and can pour new sidewalks for your property. We specialize in giving old slabs or concrete new life by custom staining and etching. Visit our Custom page for great ideas for your outdoor living space.